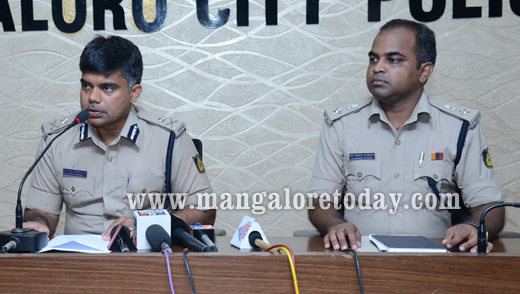 Mangaluru Apr, 29, 2016: Mangaluru Police succeeded in deatining four youths in connection with the attack on Safwan and Safwan Hassan near Thokkotu and Kallapu respectively on April 26th. 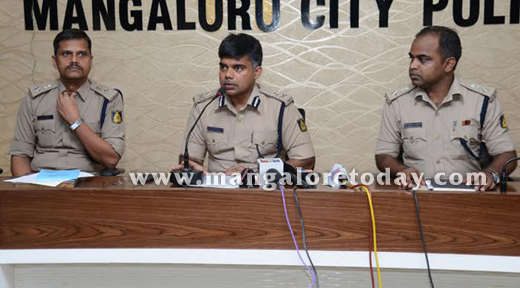 This was informed to Media Persons by City Police Commissioner M Chandrashekar on April 29, Wednesday. The Commissioner said the accused has been identified as Rahul R (20) resident of Thokottu who is a plumber by profession, Pavan Raj (20) resident of Kapikaad who is an painter by profession, Edwin Rahul D’Souza (18) resident of Kotekaar and Karthik (19) resident of Kumpala both are students was arrested by the CCB police led by Valentine D’Souza near BC Road Bus Stand. According to the police these four accused are directly involved in two offences and not known to the victim as they randomly attacked the innocent persons. Pavan Raj who was involved in the attempt to murder case of Lancy D’Souza in 2015 at Chembugudde and he was released on bail three months ago. Another accused Karthik was involved in dacoity case in 2015 and was released on bail two months ago. Community leaders will assist Police to recognize youth of age group between 18-23 who go in a wrong path and counsel such youths. Full support and co-operation was shown among Community leaders of Ullal to clobber such situation said M Chandrashekar. He further said that Section 144 has imposed in the city from 6am on April 29th to 6pm on April 30th in order to restrict illegal assemblies and procession to avoid problematic incident. Our intention is not to trouble the public but to ensure safety and peace in the city. DCP’s Shantharaju and Dr Sanjeev Patil were present. The people are making the situation still worse by assaulting one another. It disturbs the peace and harmony of the place.